The roof is not only the largest area of your home, but it is also the most important to maintain. This is because when a roof fails to keep out water, your home is in danger of serious water damage. 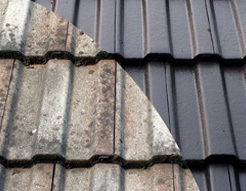 Although roof tiles are specially designed to keep water out, they can fail under certain situations and circumstances. There are many roofing materials and brands available to protect residential housing. 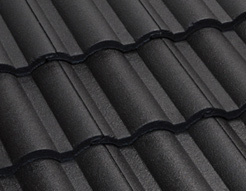 However, Boral roofing tiles are the preferred choice for many home owners in Australia, for good reasons. Both Boral roofing tiles and terracotta roofing tiles are superior to other brands of roof tiles. They are strong, durable, require minimal maintenance, and will last longer than any other type of roofing material. While Boral makes the best roofing tiles, even quality roof tiles can fail under certain circumstance and situations, and knowing the most common cause of roof tile failure is the best way to prevent any costly damage to your roof and home. Tile roofs can crack – cracked roof tiles are a serious problem. Roof tiles can fail when they become cracked or damaged by physical impact, such as when trees or large tree branches fall onto them, or when inexperienced persons mount and walk on your roof. If cracked roof tiles are found, these should be repaired as soon as possible to prevent water from entering your home and causing costly repairs. Even if cracked roof tiles do prevent water from leaking inside the home, they can allow moisture to build up, which can result in the development of mold and mildew that can damages ceilings and walls. 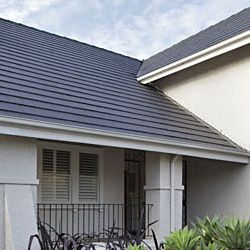 Untreated clay and cement roof tiles – unlike quality Boral roof tiles that are pretreated, other brands of roofing tiles come without any coat of paint. Without any protective layer of paint or roof sealant, moisture can effectively penetrate the surface of roof tiles and cause cracking, as a result of moisture expanding due to temperature changes caused by heat from the sun. The best remedy for roof tile failure is to have your roof inspected to identify any damage or potential problems, and then have any cracked or broken roof tiles repaired or replaced as needed, to prevent damage to your home. Scheduling a roof inspection is easy, just call us here at Ajax Gregson Tiles for a ‘free’ no obligation roof inspection today!